Establish first class selling power when you display your products on this attractive and versatile Triangle Grid base with Casters. 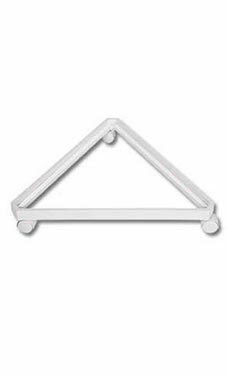 Measuring 24" x 24" x 24", this Triangular Base will easily support any Wire Grid Units and can be changed at any time. Easily move your gridwall display setting with this base, which features casters on the bottom for convenient mobility. All of our items are backed by our 110% Low Price Guarantee and are in stock and available for immediate shipment.